Super sweet sugary entry floods the palate with caramel and raisins as the burst of bitter-dry oak develops into toasted waffles and burnt toffee that bring a lovely bitter finish. 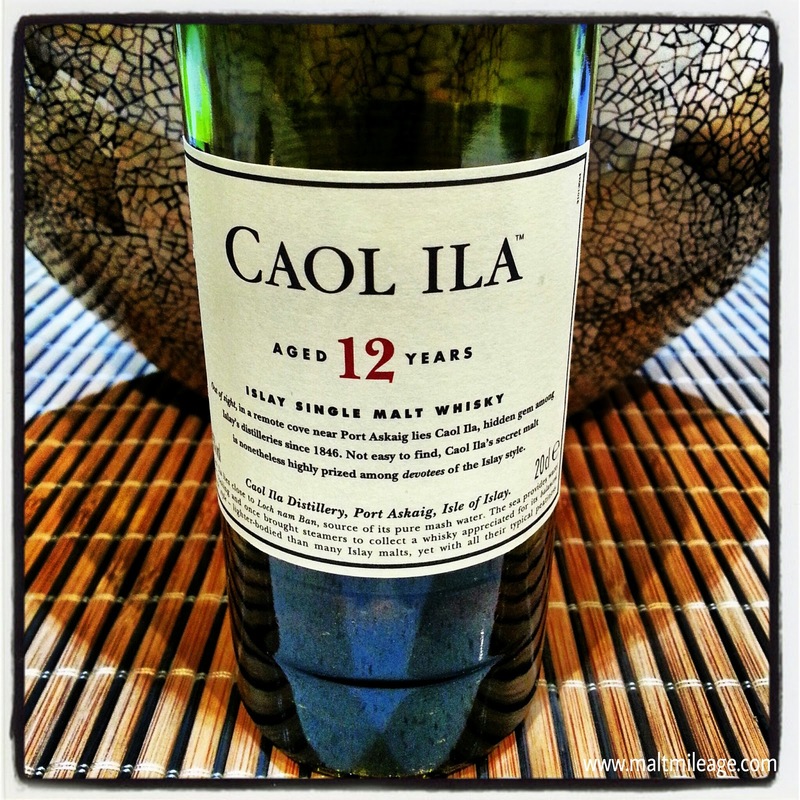 Caol Ila 12 Year Old is a single malt whisky that encapsulates the legendary character of Islay: peat, smoke, sea salt and the ocean breeze. A dense and luscious peat hits my nose with bravado and smoothness, without the slightest harshness or roughness. Encased in a glowing sweet strawberry jam, the peat weaves in and out of an ocean theme including sea salt and sea shells. A wave of sea salt strikes my palate as a lighter ocean mist sprays peat and smoke onto the base of my tongue. The strawberry jam identified on the nose develops into stewed apricots that simmer gently in a coastal melting pot of brine and oyster shells with big bursts of salty earthiness. The finish on this whisky is long and offers a mild bitterness almost like wet Jasmine tea leaves on the tongue; a bitterness that then recedes to a gust of ocean spray that strikes with a blunt hammering of peat and dry salt that remains from evapourated sea water on the lips.